London's musical theatreland is booming. With millions to be made at the box office, competition is cut-throat and everyone from producers to performers is searching for that coveted spot in the West End. With unprecedented access to a season in the West End, this series goes behind the scenes to witness every aspect of the business of musicals. In the battle between legendary producers and optimistic novices to get their shows on the stage, all have a story to tell about the lure of the bright lights. 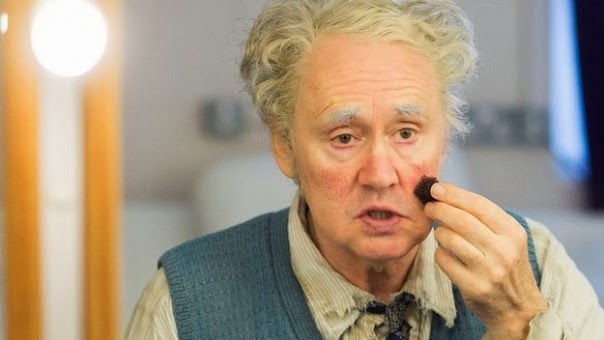 The series that goes behind the scenes of the West End reveals how to bring a classic tale to life on stage, with exclusive access to Academy Award winner Sam Mendes' re-imagining of Charlie and the Chocolate Factory. This episode follows producers at both ends of the spectrum as they try to do all that it takes to create their own sell-out shows. Super-producer Cameron Mackintosh is staging the latest revival of circus spectacular musical Barnum, while first-time producer Amy Anzel is trying to raise funds and find the cast for her fledgling production of Happy Days: A New Musical. There is no magic formula to create the perfect musical, although star names help, and Amy thinks she's got one when Strictly Come Dancing judge Craig Revel Horwood agrees to be her director. Also hoping to carve a niche for himself in a hit show is 21-year-old performer Dickie Wood. He's fresh from stage school and has landed his first job in Mamma Mia!, the worldwide hit musical in its 15th year. Dickie has a lot to learn in just five weeks before his West End debut; not just the steps and the notes but the haircut, the convincing Greek tan and the sparkling smile. With time, money and reputation at stake, Cameron, Amy and Dickie have their work cut out. And in the West End the drama's not just on the stage. An unprecedented look behind the scenes of the cut-throat world of West End musicals. The Sound of Musicals starts on Tuesday (12th Nov) on Channel 4 at 9pm. Channel 4 lines up major musical theatre series – but where is the fanfare? "It’s brilliant that Channel 4 arts commissioner Tabitha Jackson has had this series made at all. It’s just a shame her programming hasn’t had the publicity it deserves" So Tweet, Share and spread the news about this fantastic show hitting our screens next week! Why shatter our illusions? We know in reality that it is hard graft, competitive and not as glamorous as it seems but we want to believe in what we see when it's crafted, perfected, made up and lit and looking like magic.